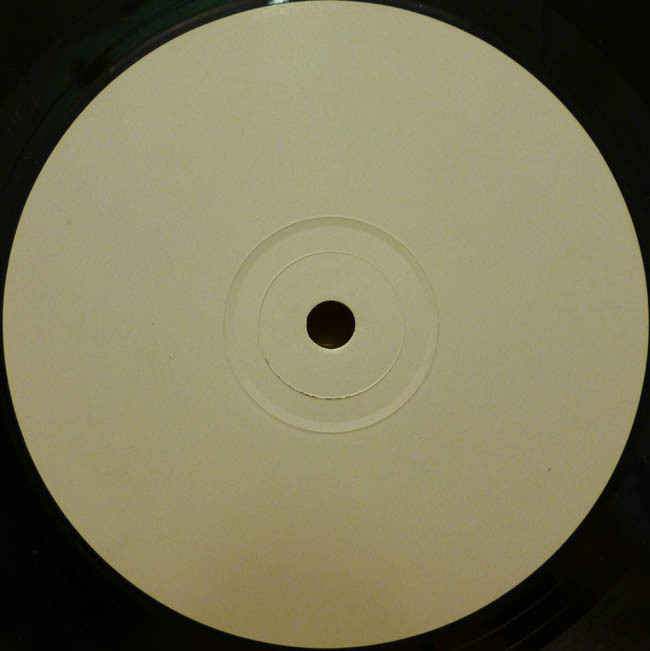 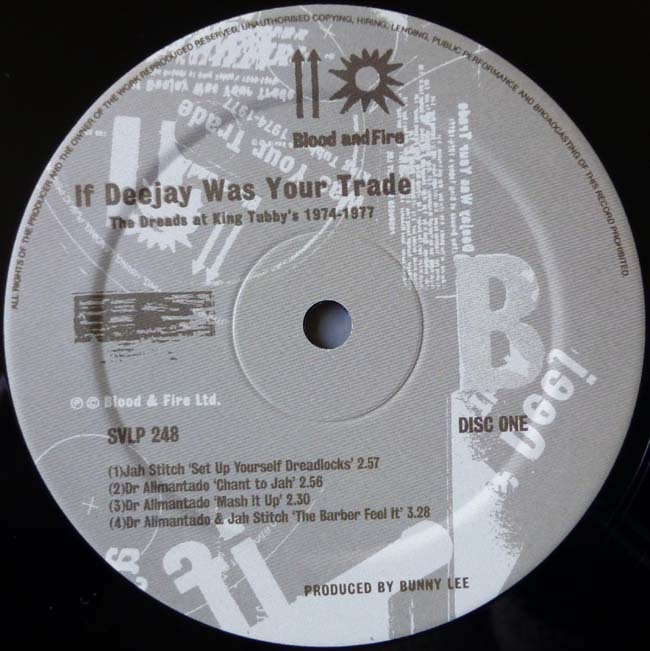 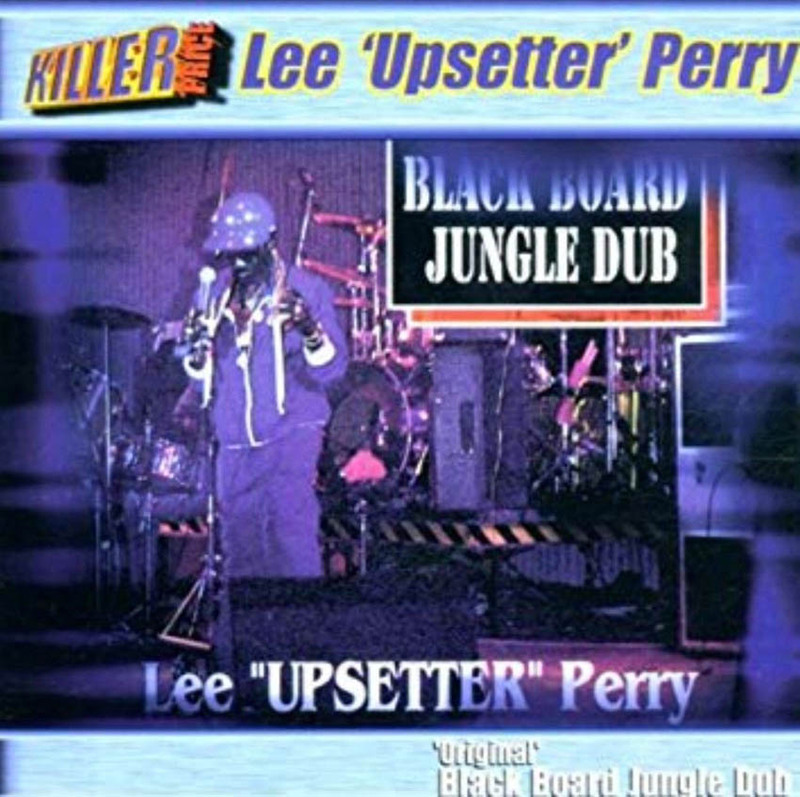 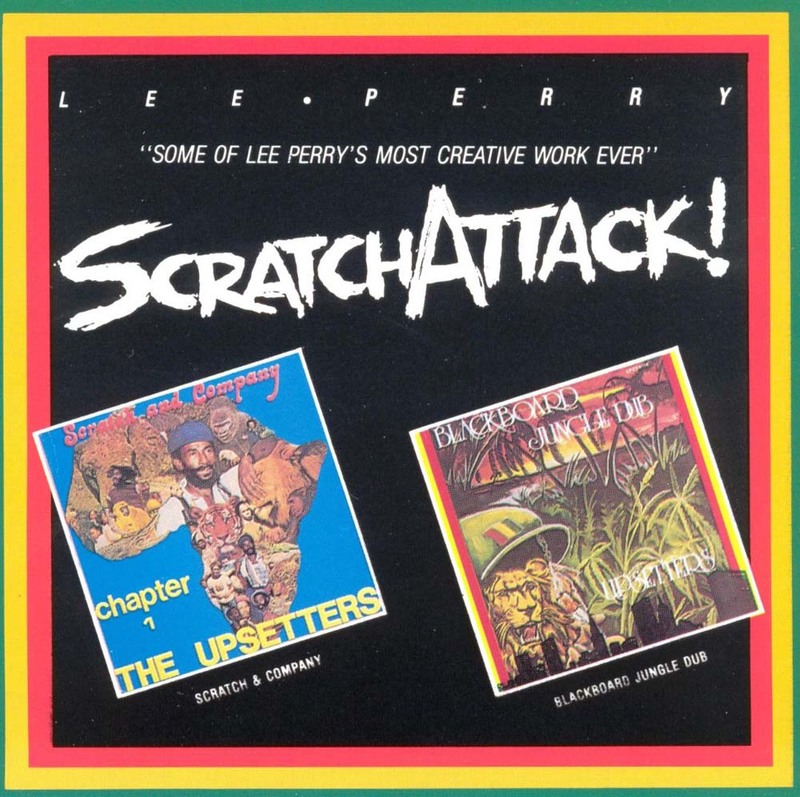 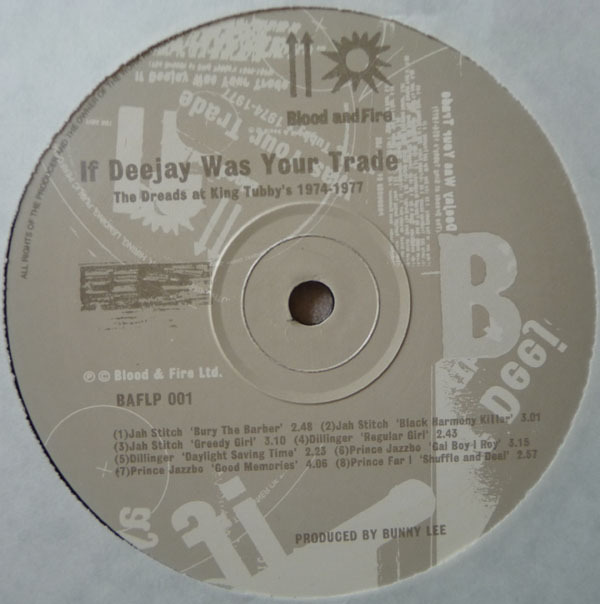 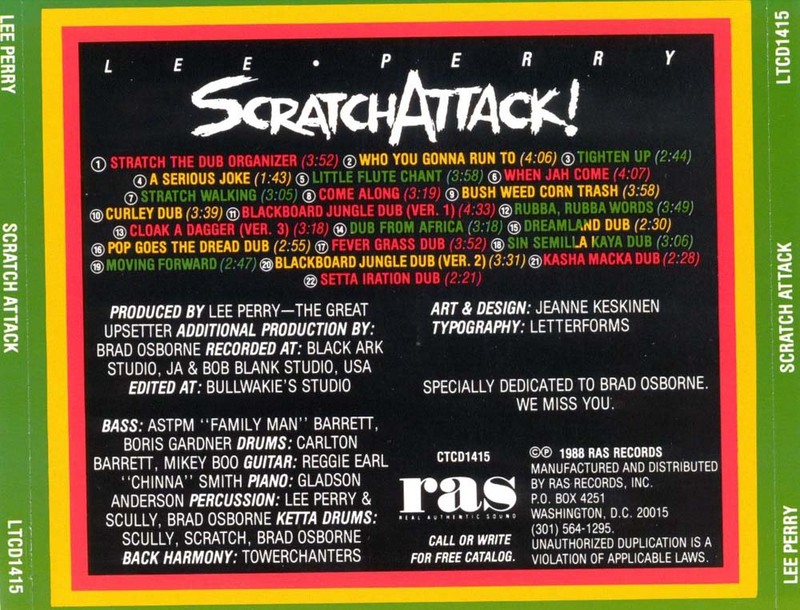 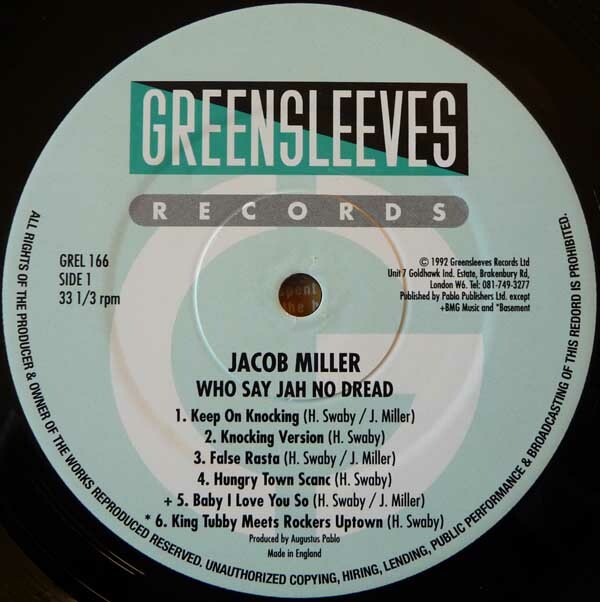 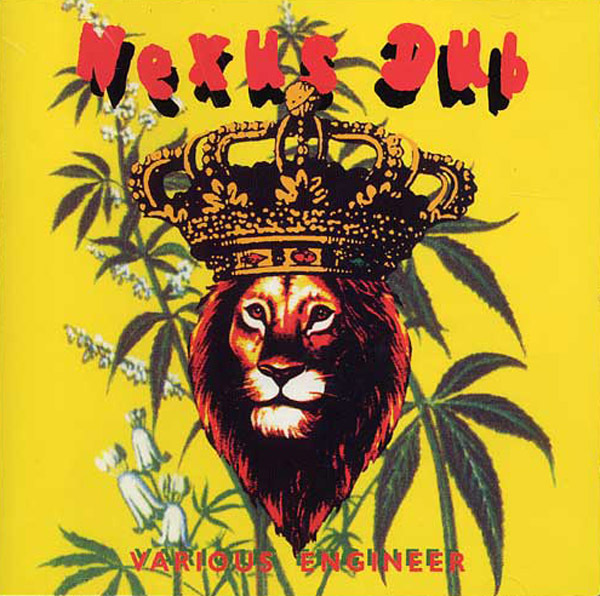 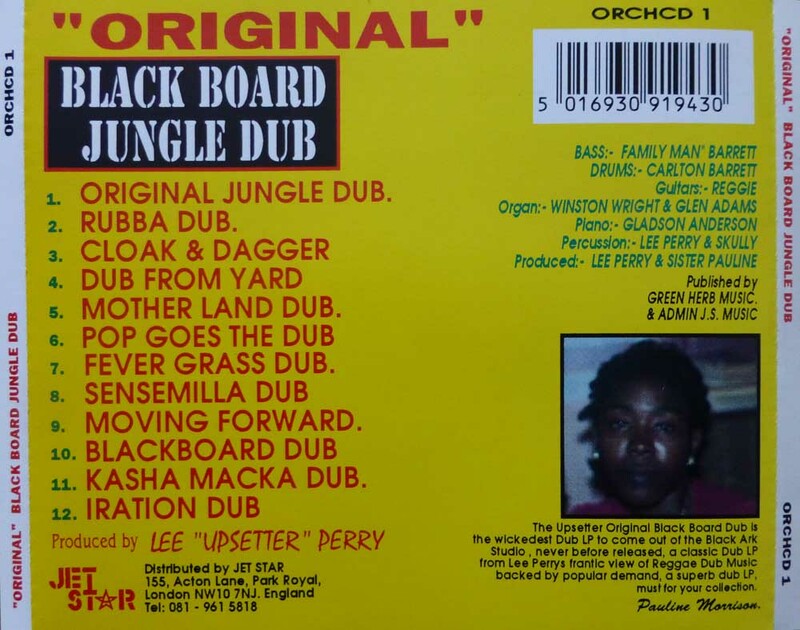 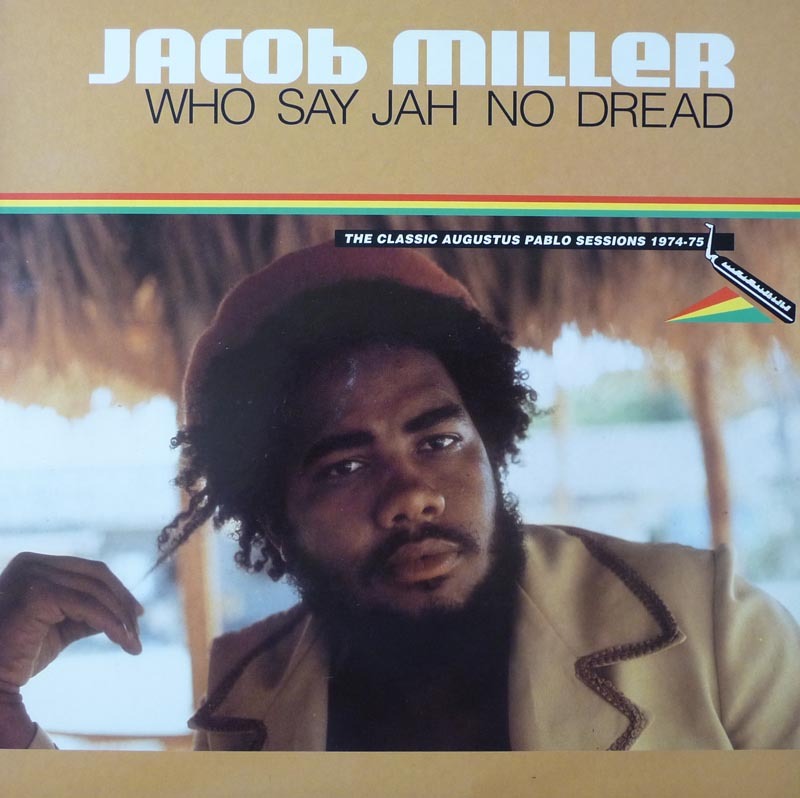 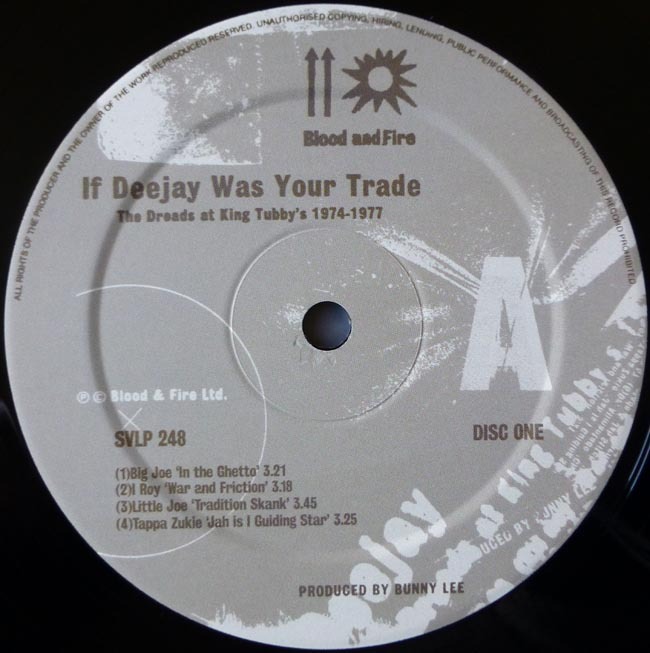 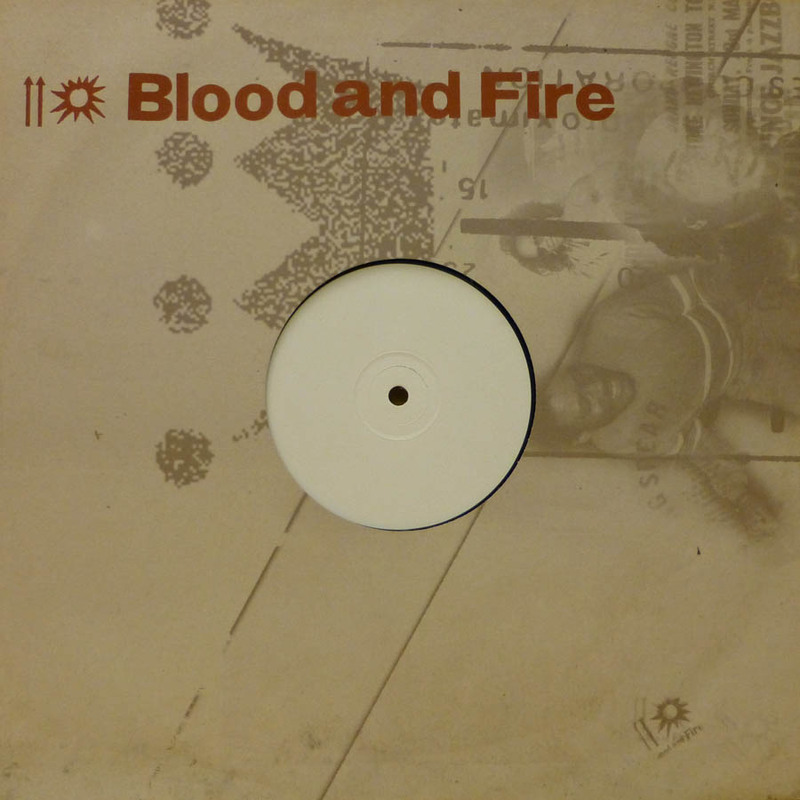 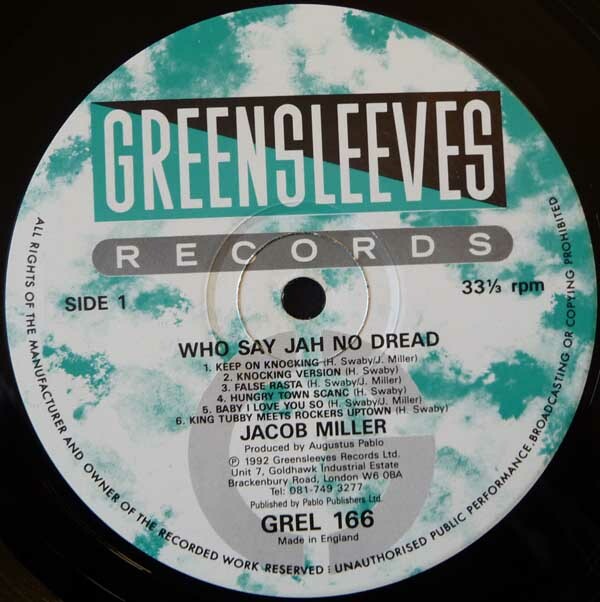 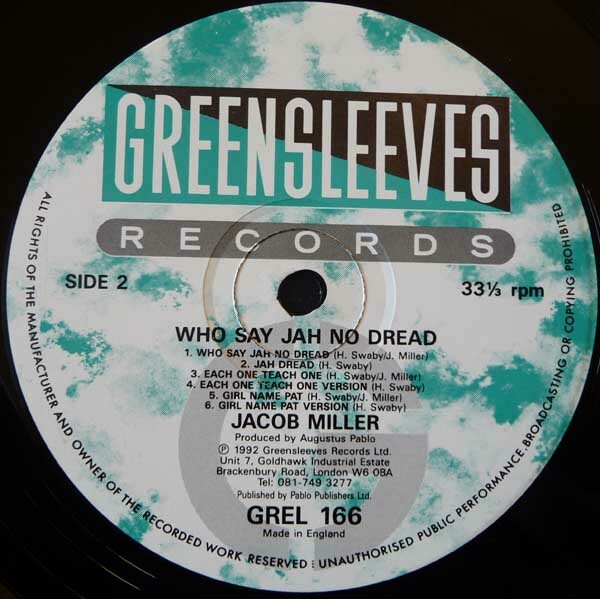 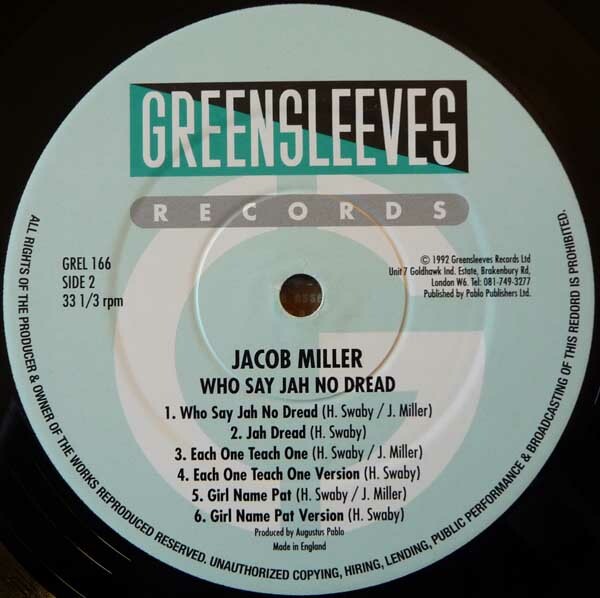 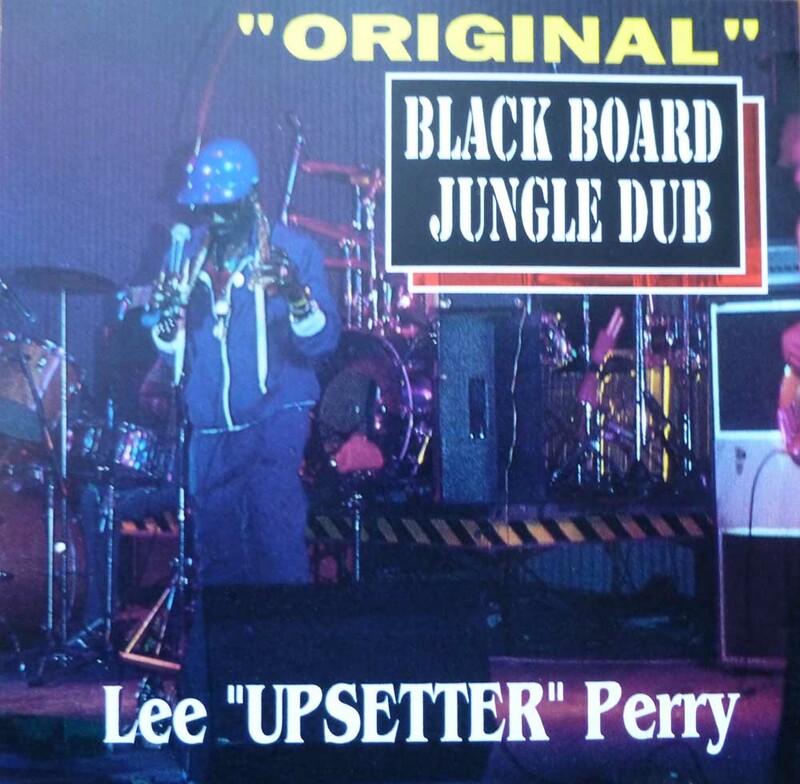 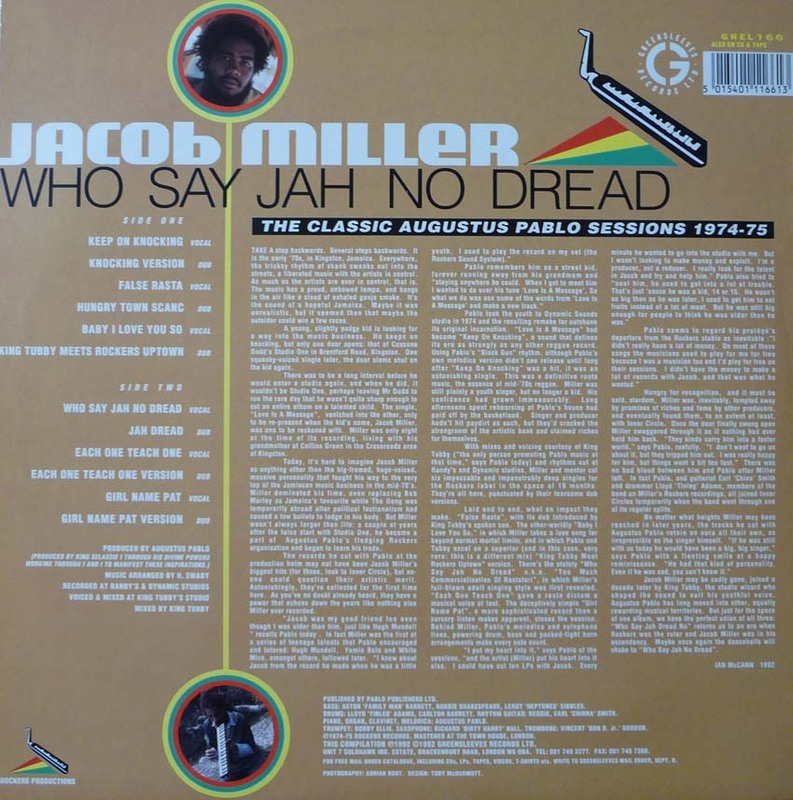 A1 Keep On Knocking 7" 2.31 3.07 A2 Knocking Version 7"
03 False Rasta 7" 2.35 2.46 04 Hungry Town Scanc 7"
2.58 1-2-3 Version original B side Hot Stuff 7"
B1 Who Say Jah No Dread 7" 2.36 2.37 B2 Jah Dread 7"
Recorded in the late seventies at King Tubby’s and Channel 1 studio, Jamaica, musicians are Sly and The Revolutionaries, and The Aggrovators ? 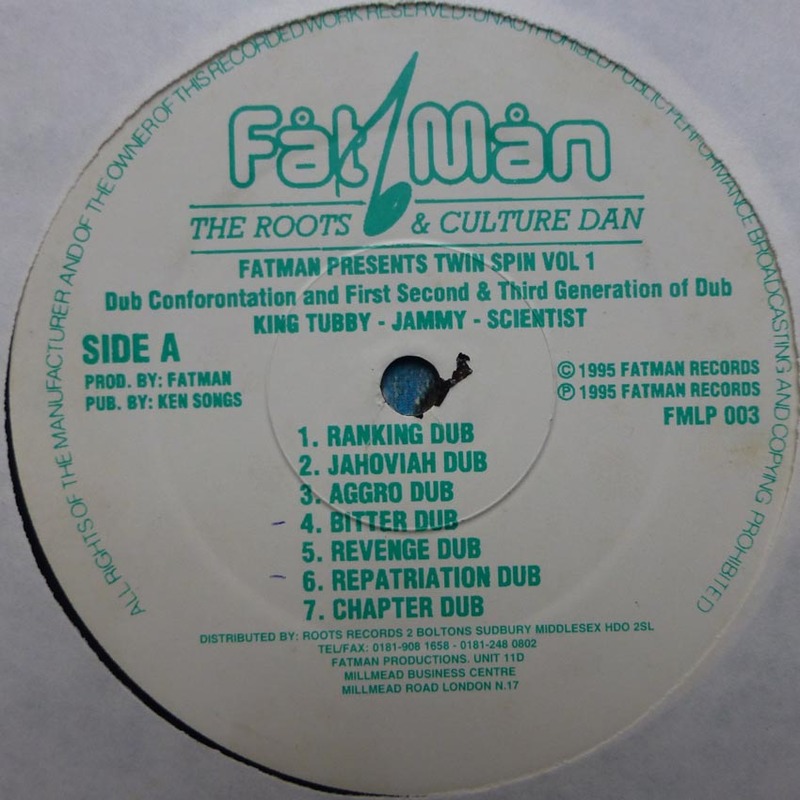 03 Tradition Skank Little Joe 3.44 2.40 Tradition Ronnie Davis 7"
06 Chant To Jah Dr. Alimantado 2.55 2.49 Blesssed Are The Meek (The Beatitude) Cornell Campbell 7"
08 The Barber Feel It 7" Dr. Alimantado And Jah Stitch 3.27 3.00 Ali Baba Jackie Edwards 7" / 7"
End Of The Barber The Agrovators 7"
Original Blackboard Jungle Dub Lee 'Upsetter' Perry 1994 see also Scratch Attack ! 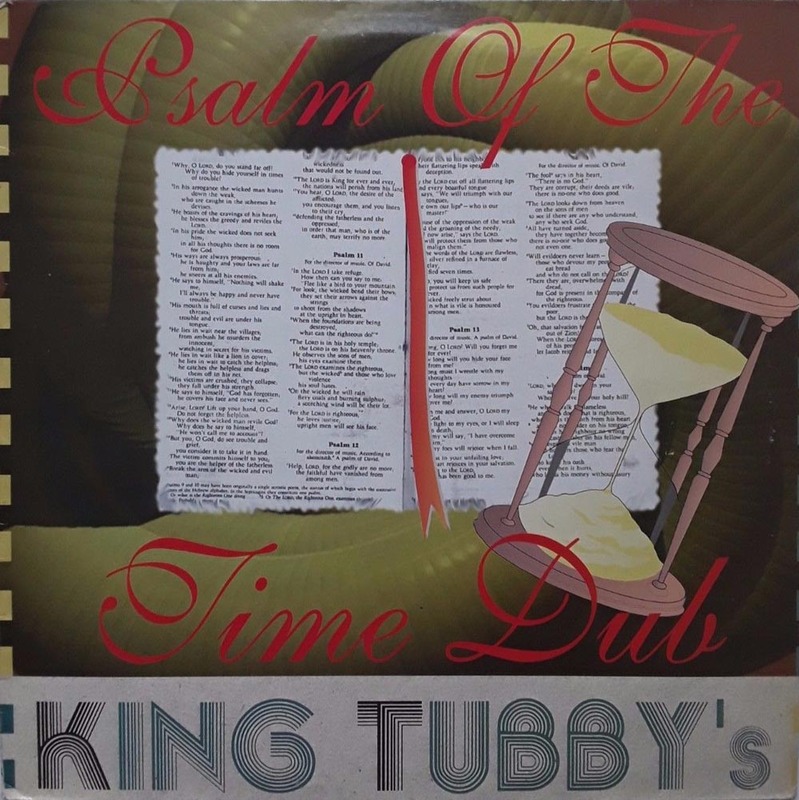 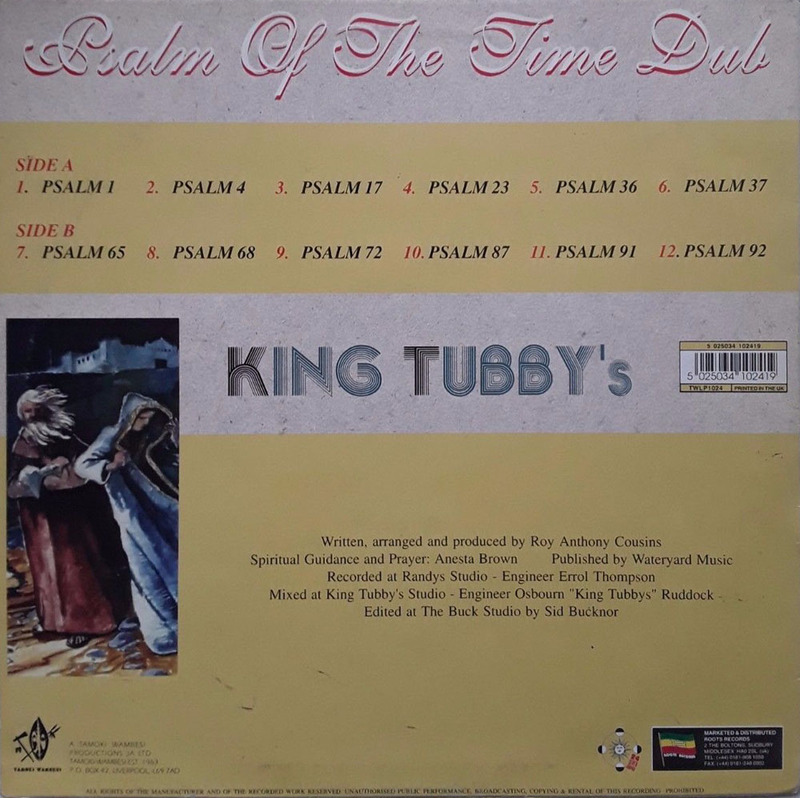 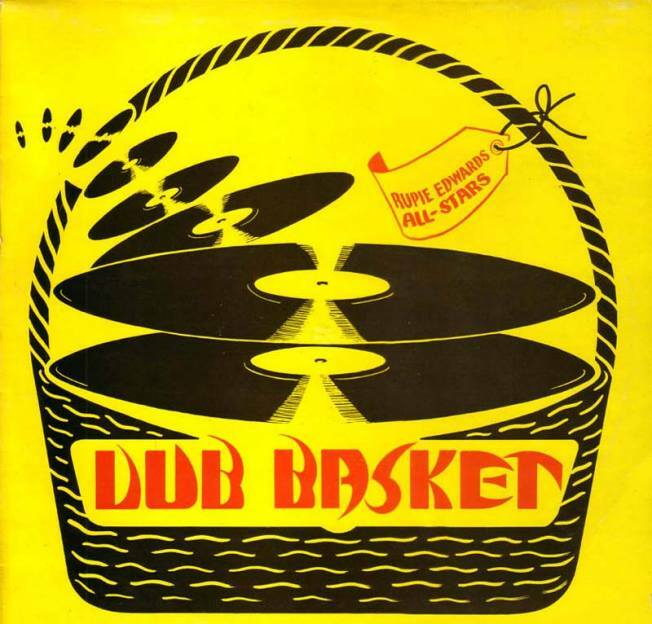 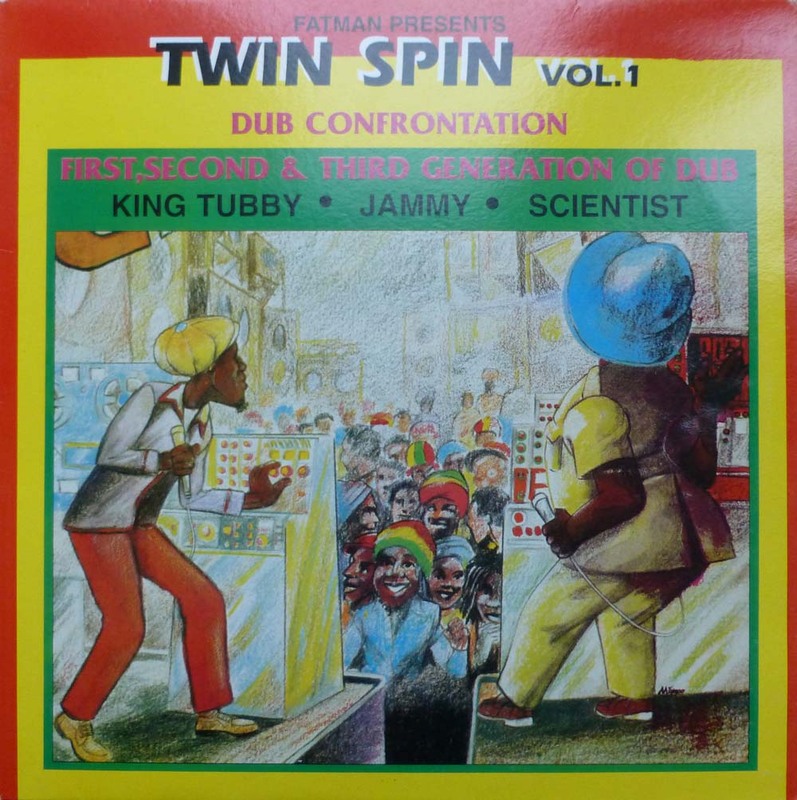 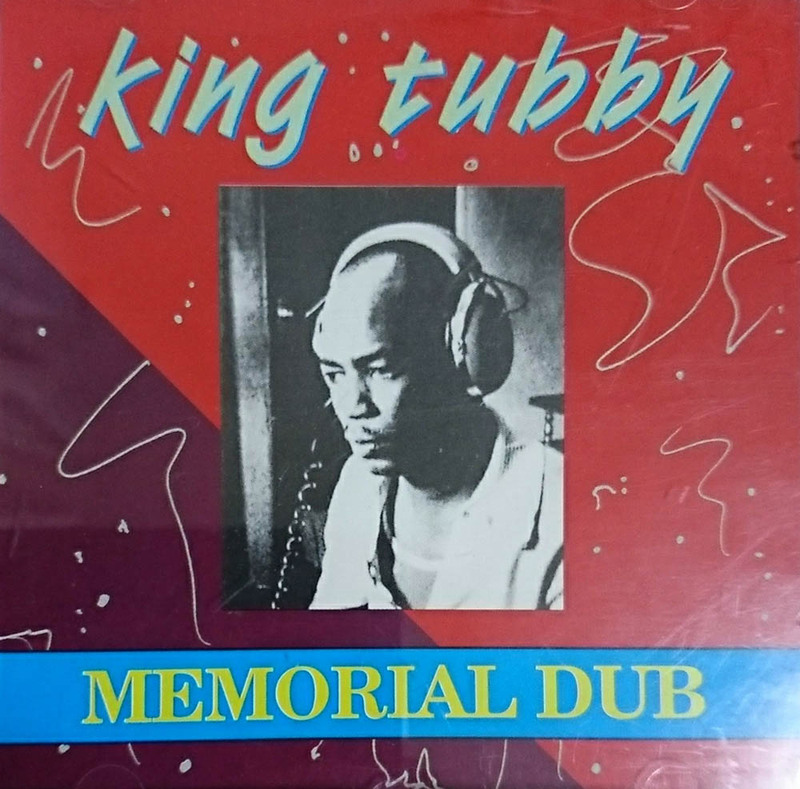 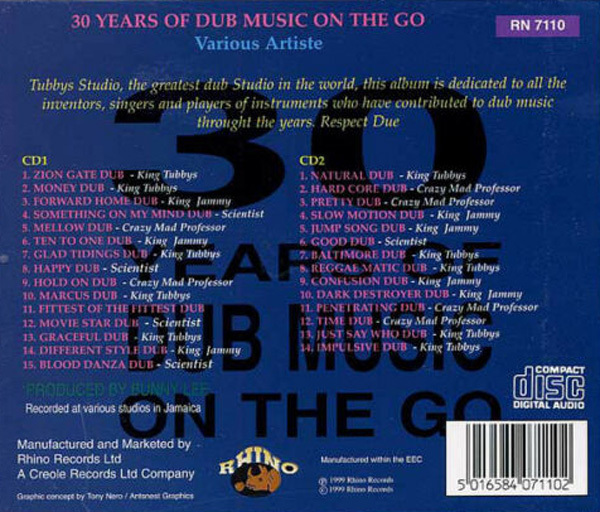 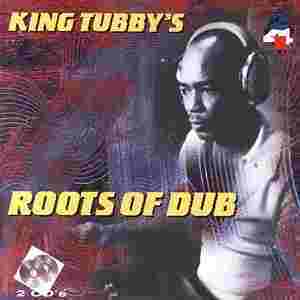 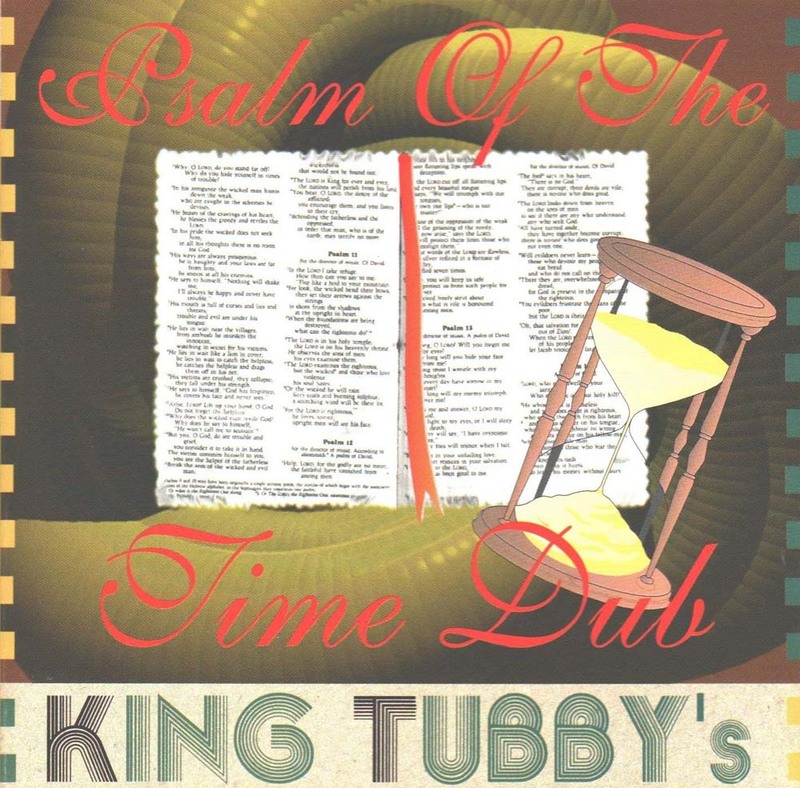 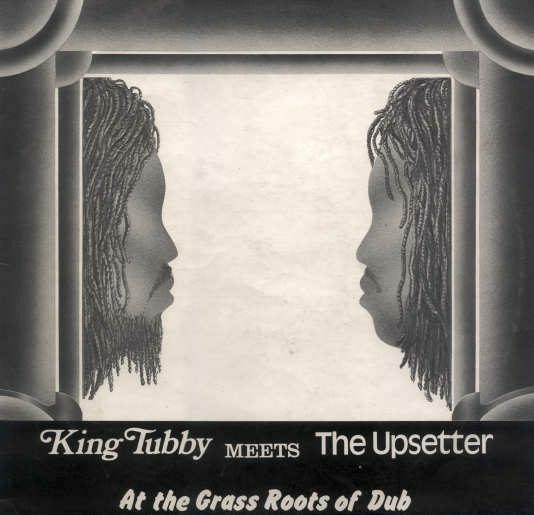 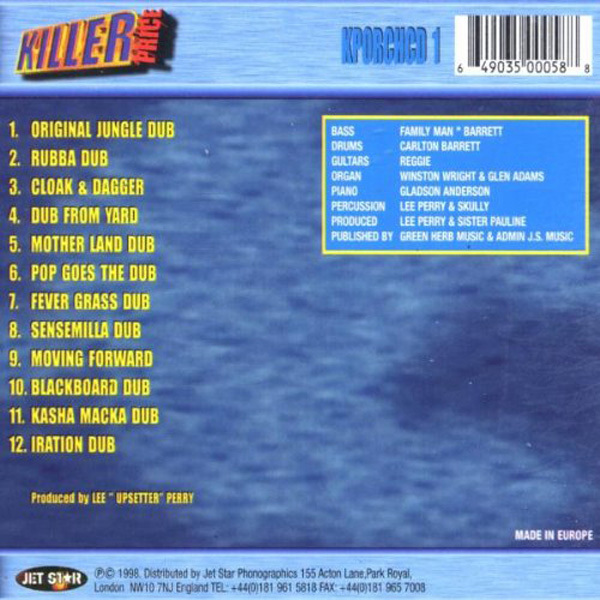 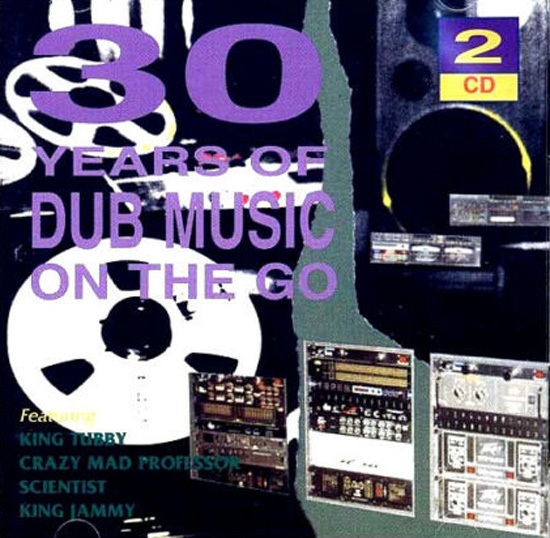 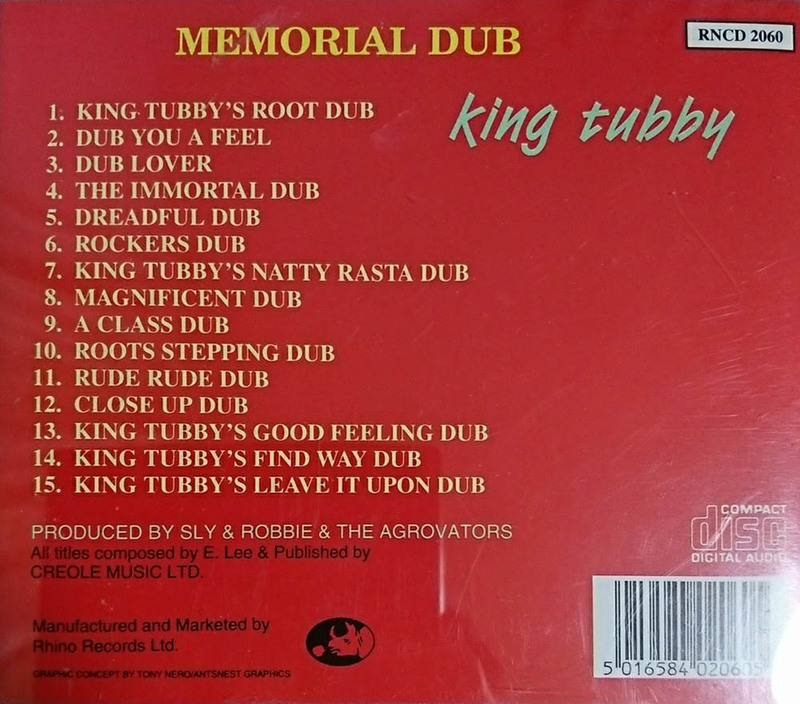 04 The Immortal Dub aka Dread Locks Dub 2.18 Natty Dread Is The Greatest Linval Thompson 7"
06 Rockers Dub aka Natty Dub 2.52 2.52 Natty Dread No Lie aka Knotty Dread No Lie Cornell Campbell 7"
07 King Tubby's Natty Rasta Dub aka Dub Magnificient 3.58 3.01 Where I Lay My Head Cornell Campbell 7"
08 Magnificient Dub aka A First Class Dub 2.49 I Don't Want To See You Cry Cornell Campbell 7"
King Tubby's & The Aggrovators Upset The Upsetters 1994 ? 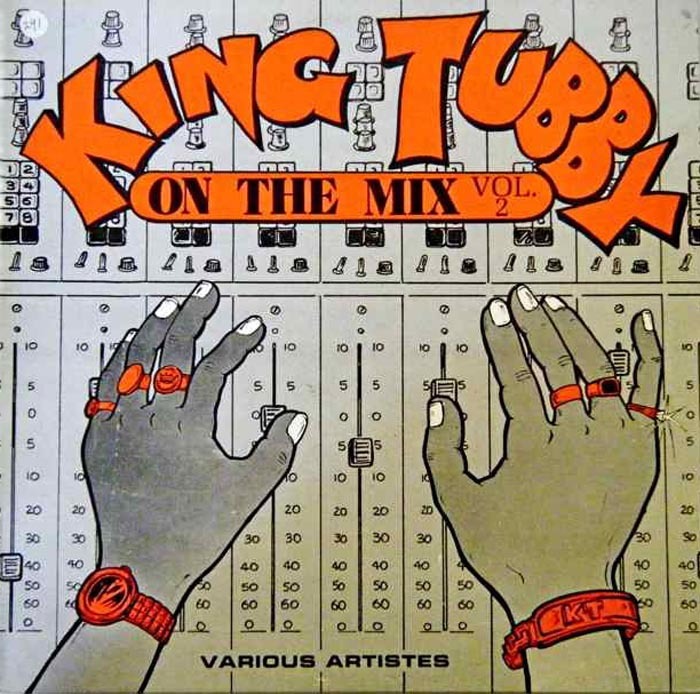 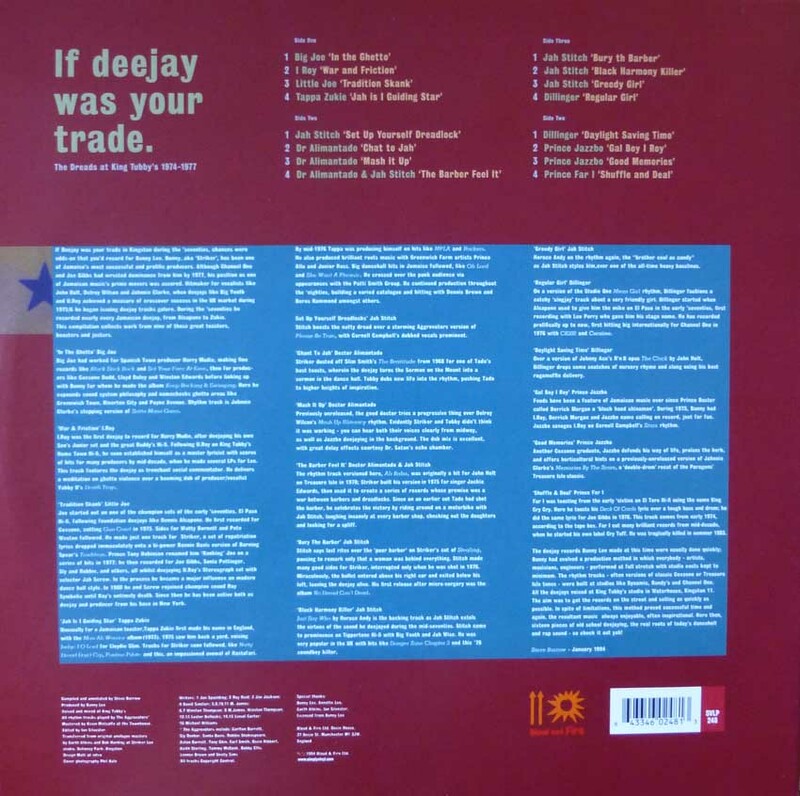 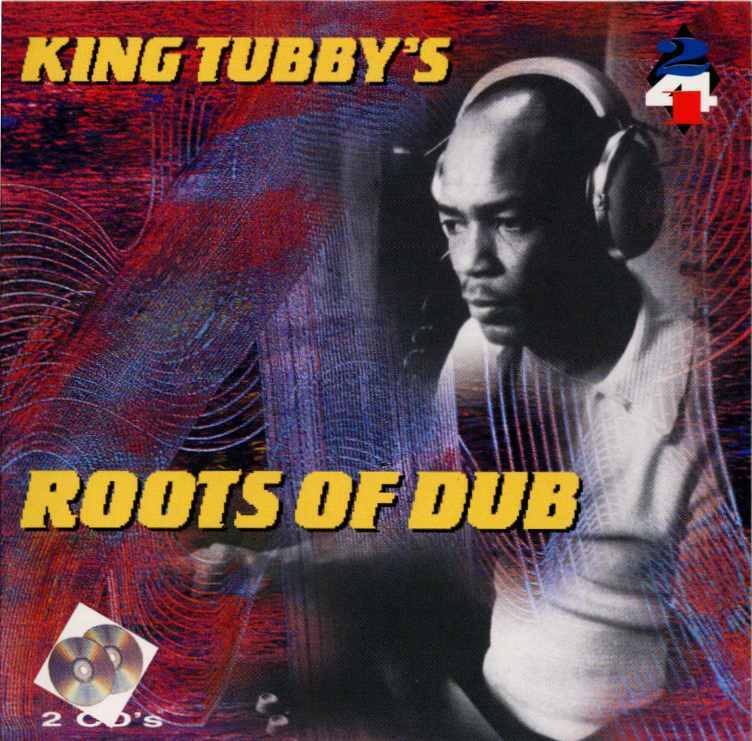 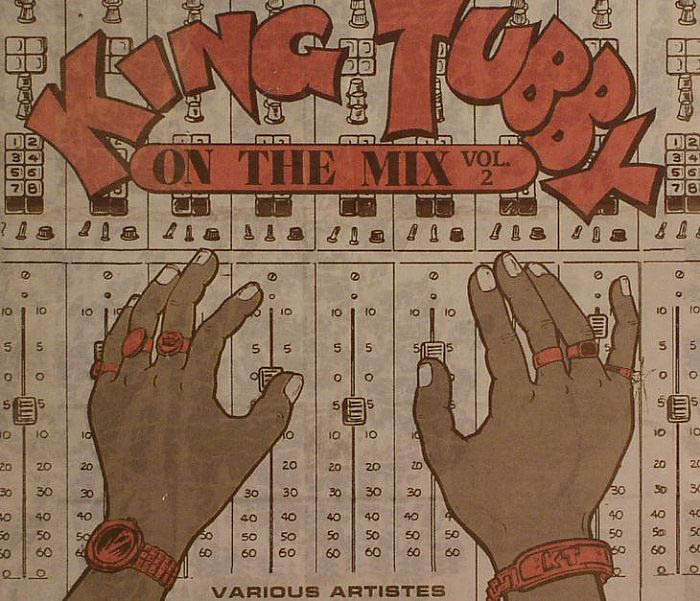 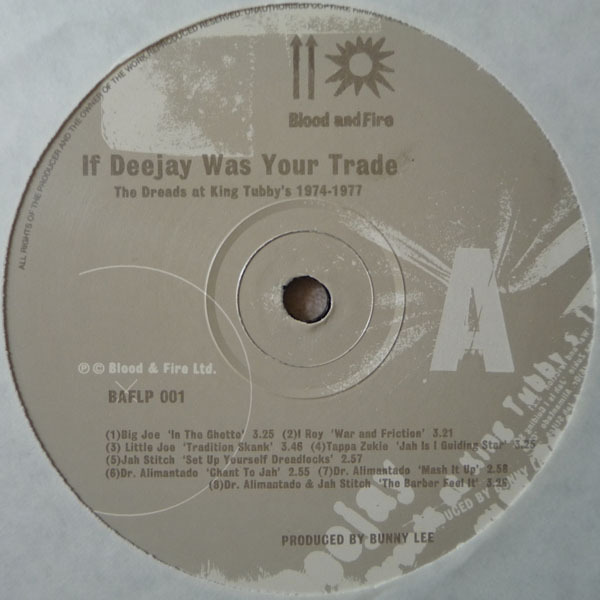 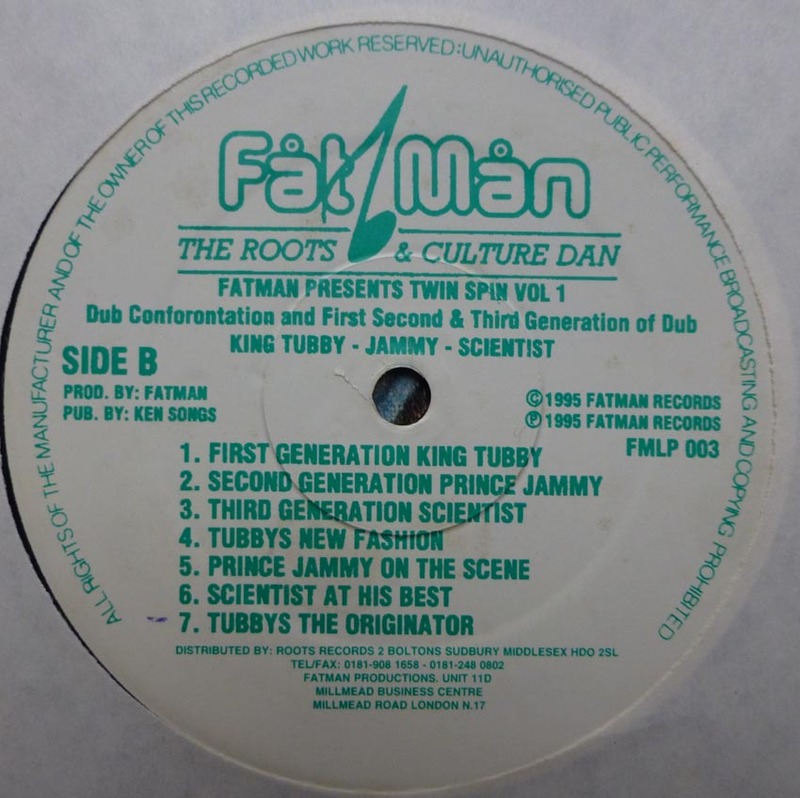 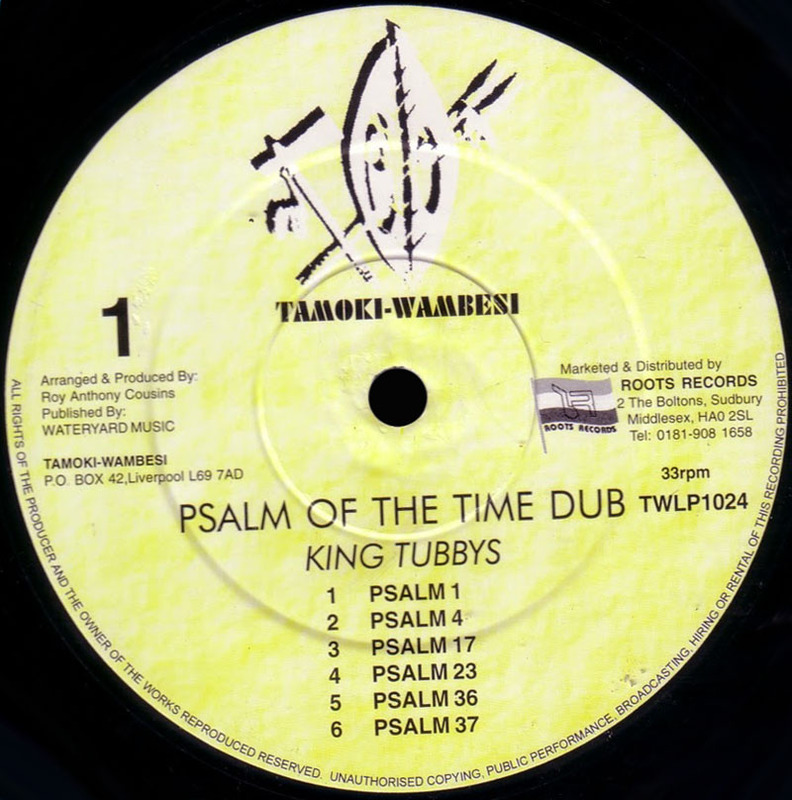 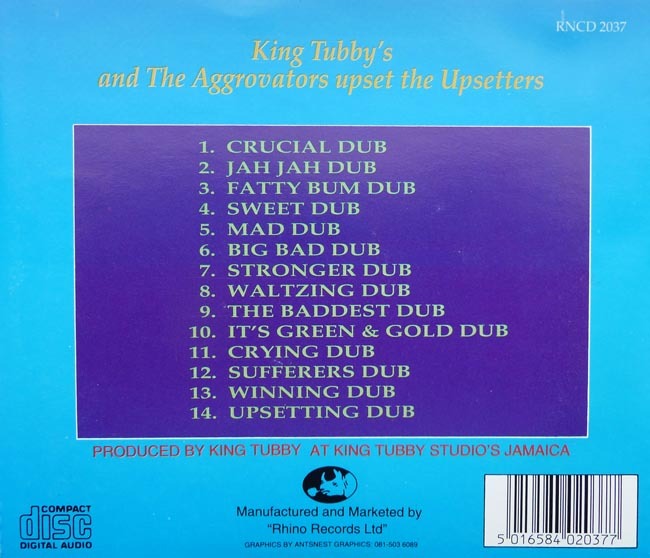 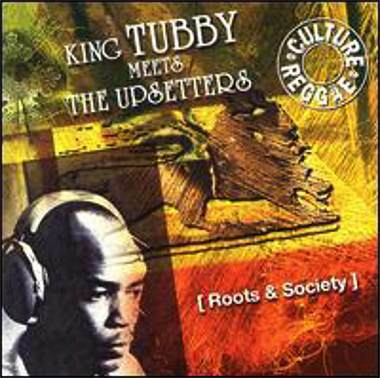 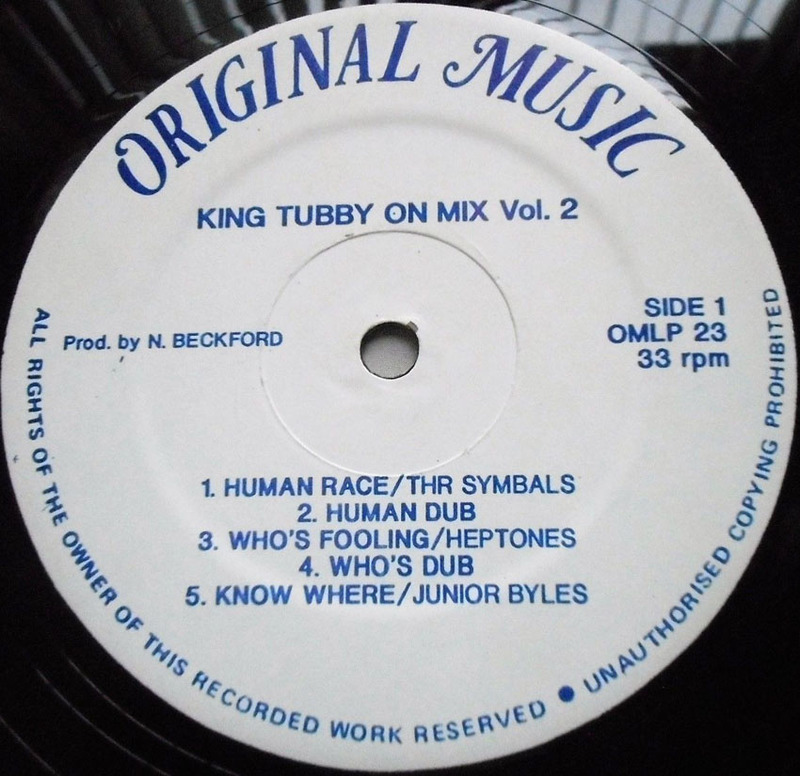 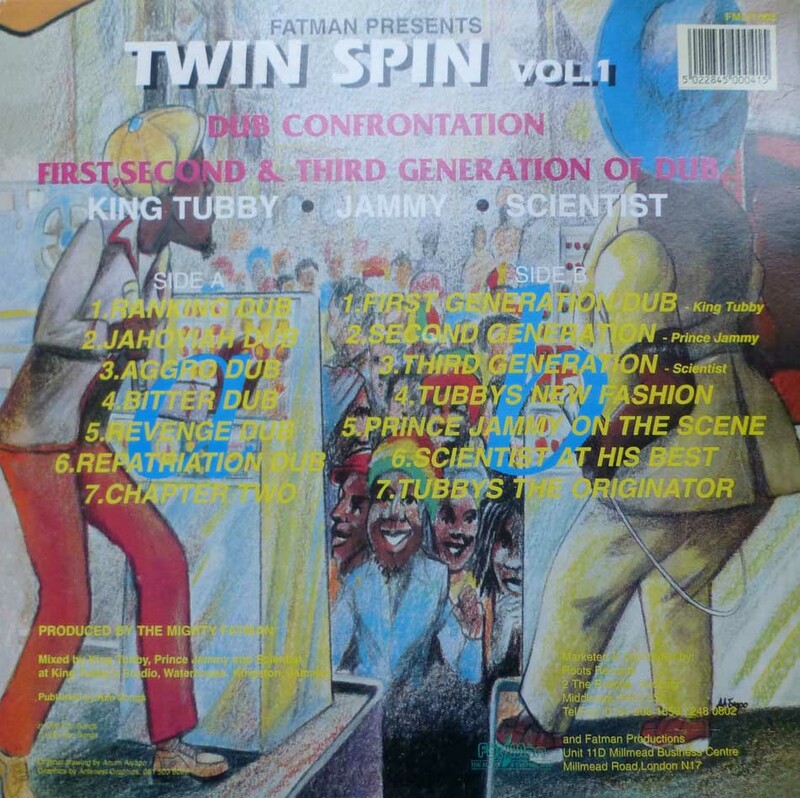 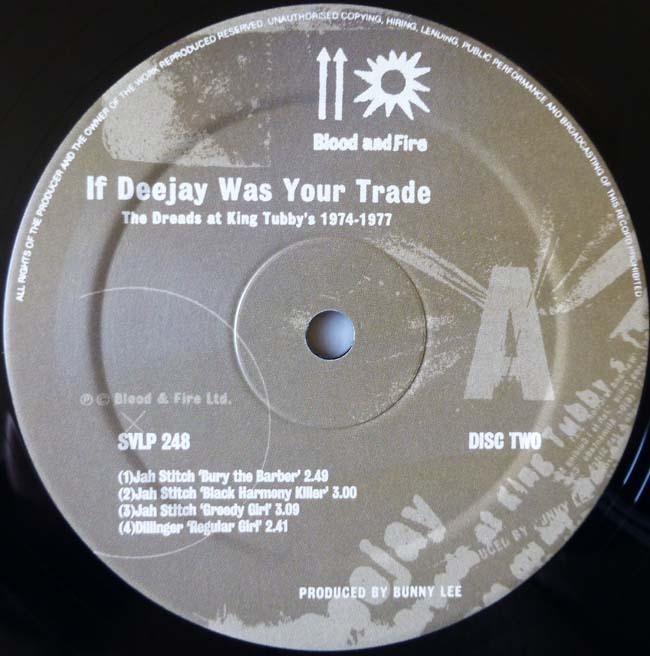 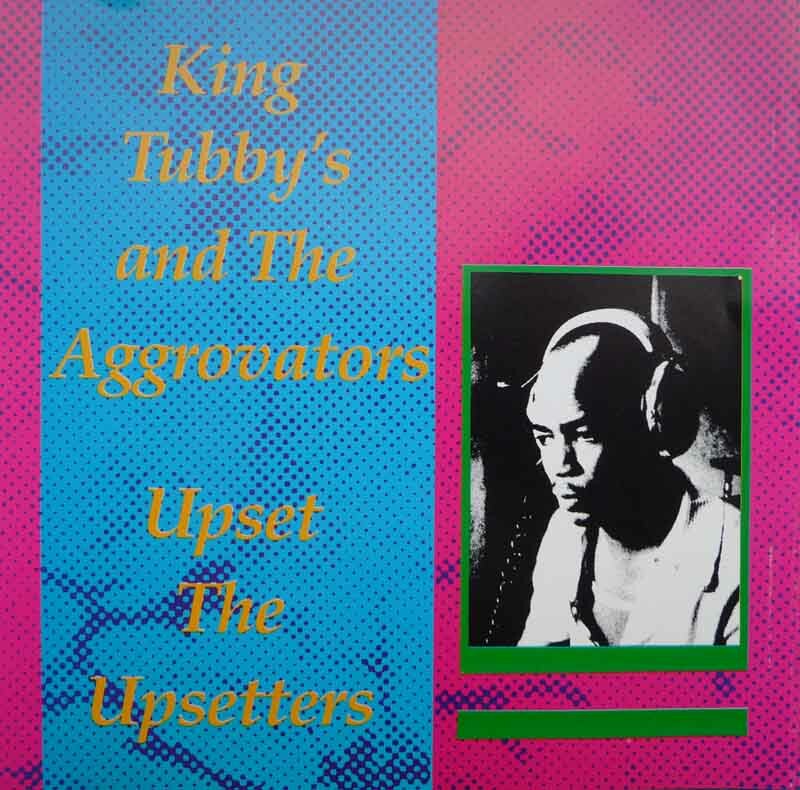 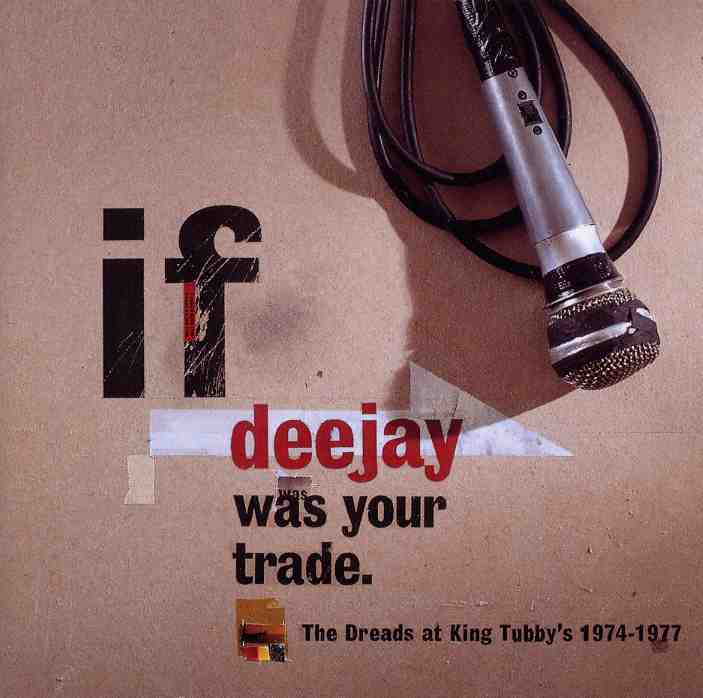 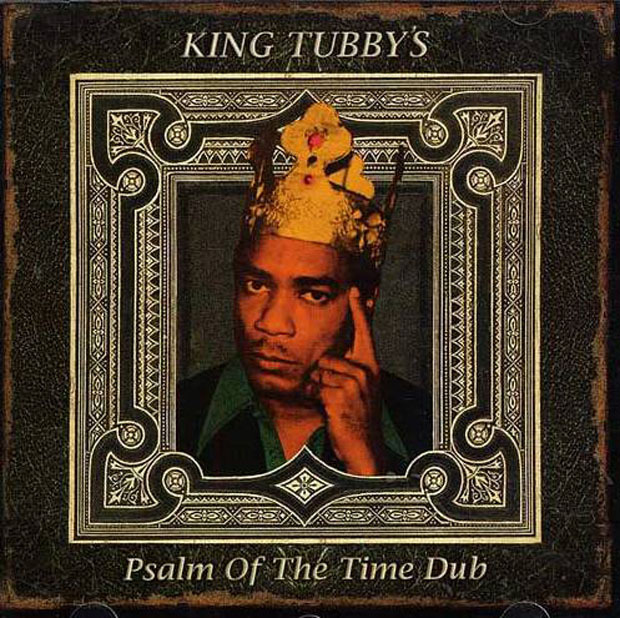 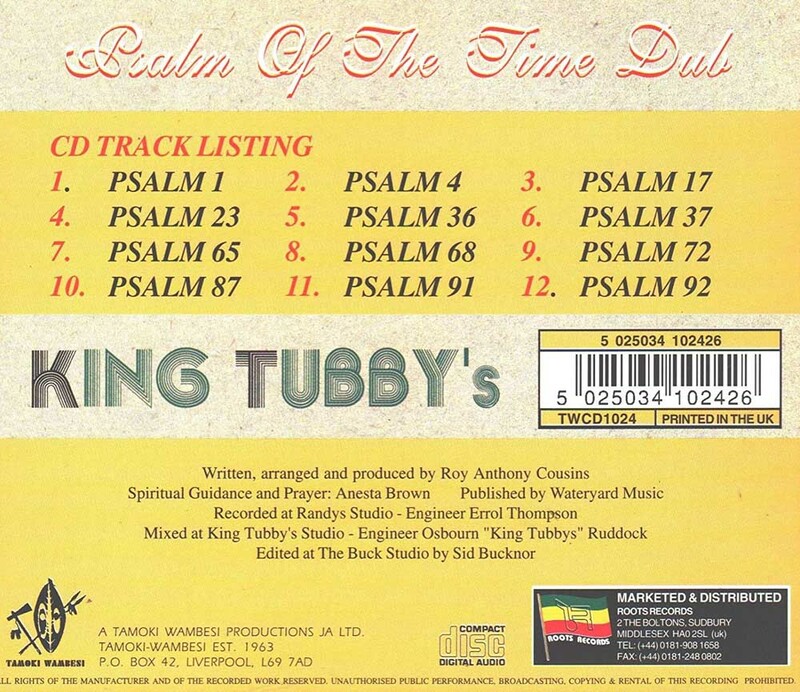 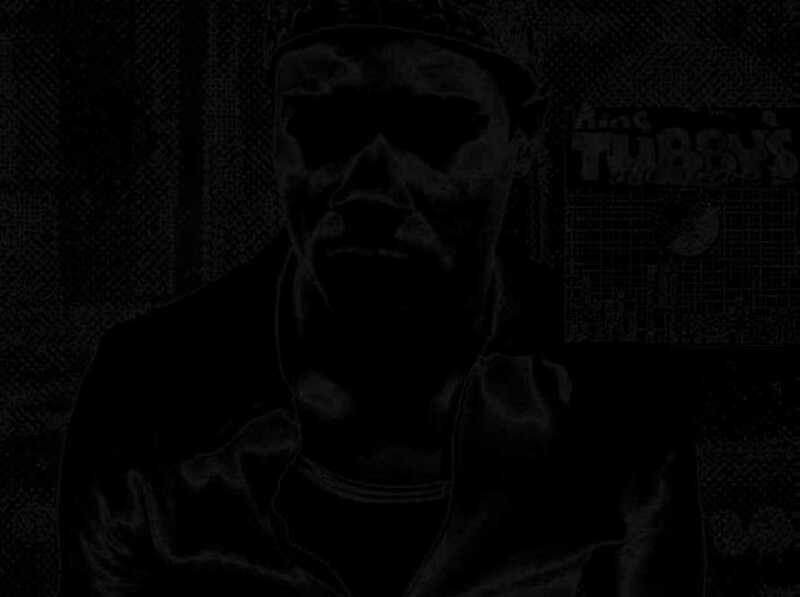 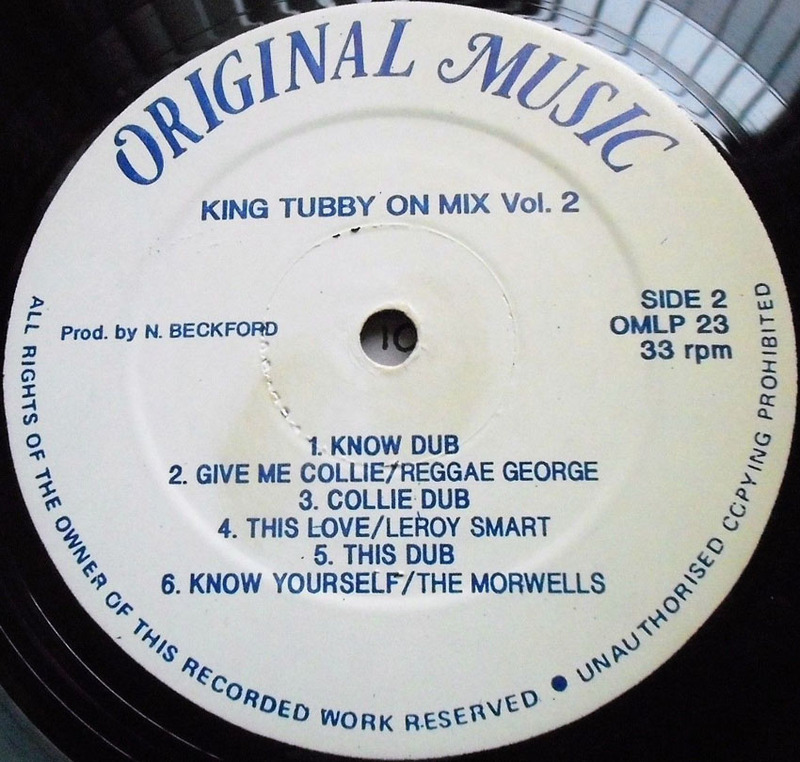 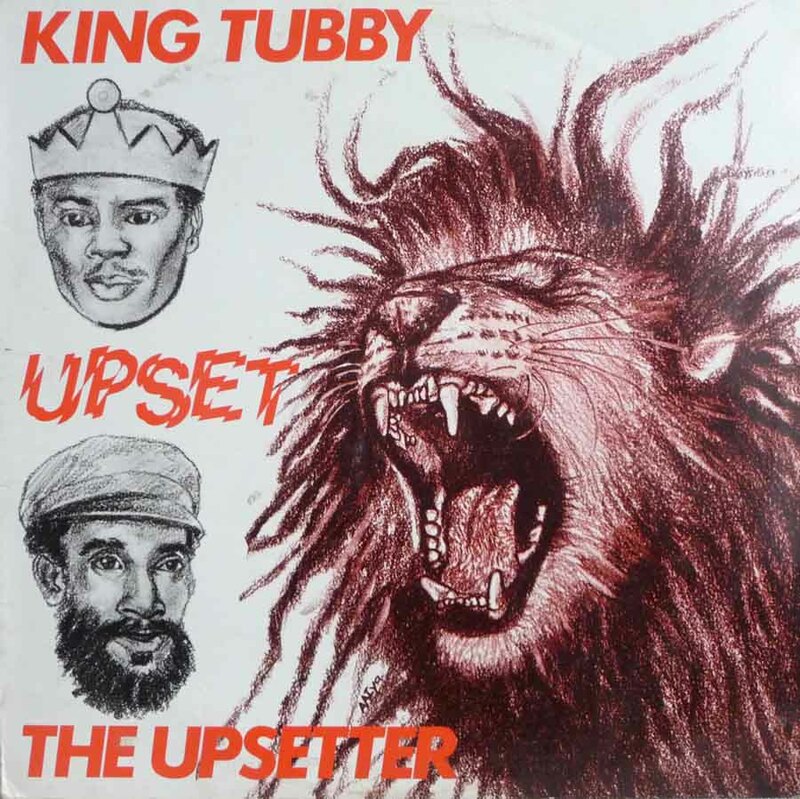 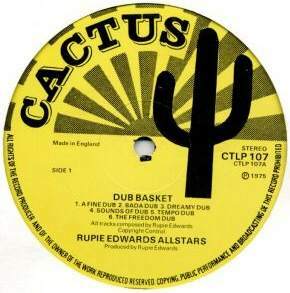 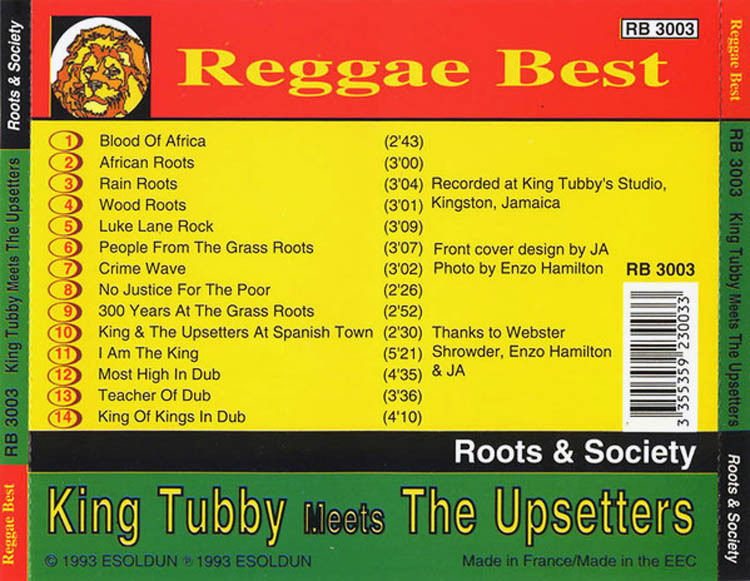 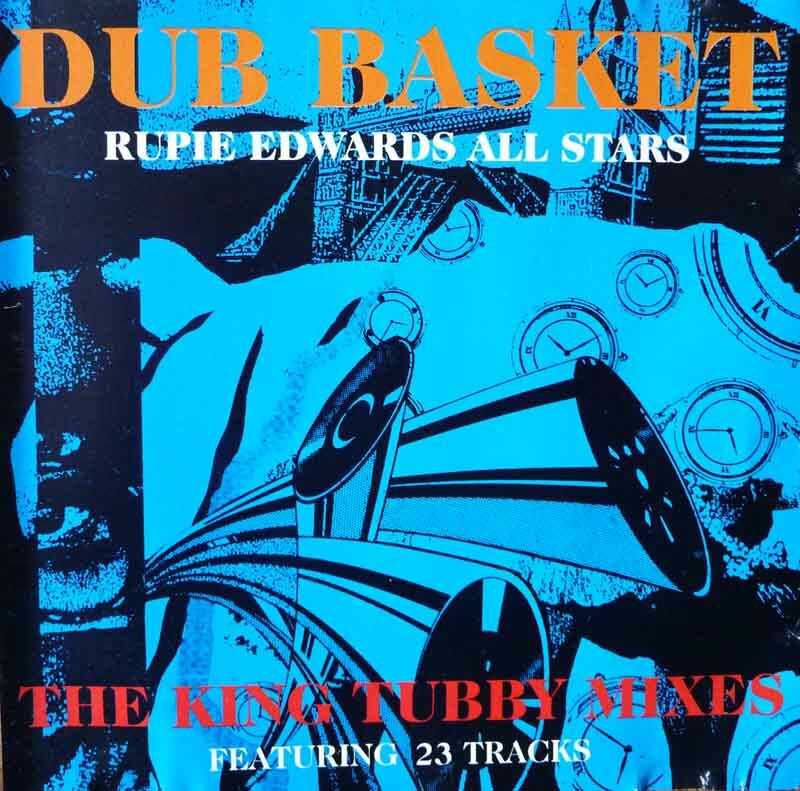 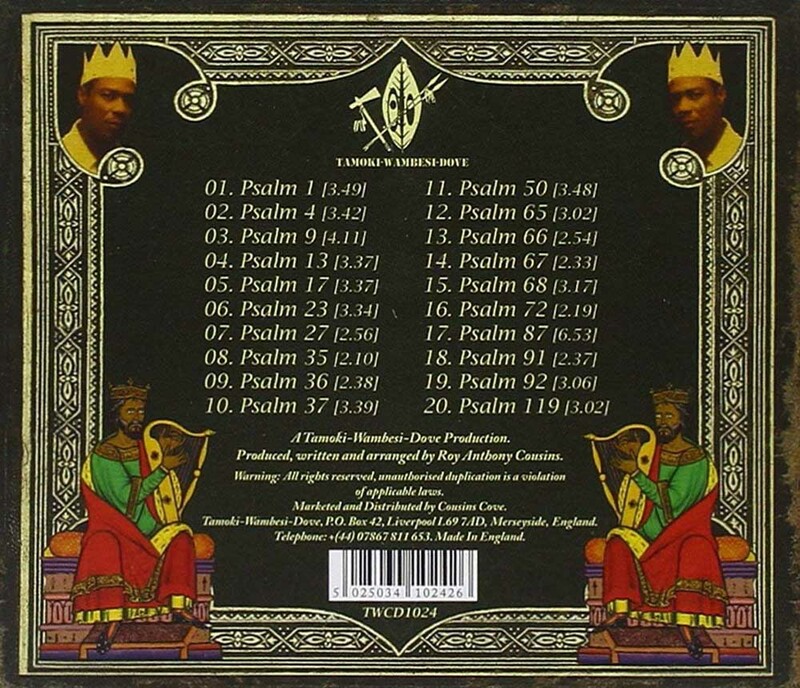 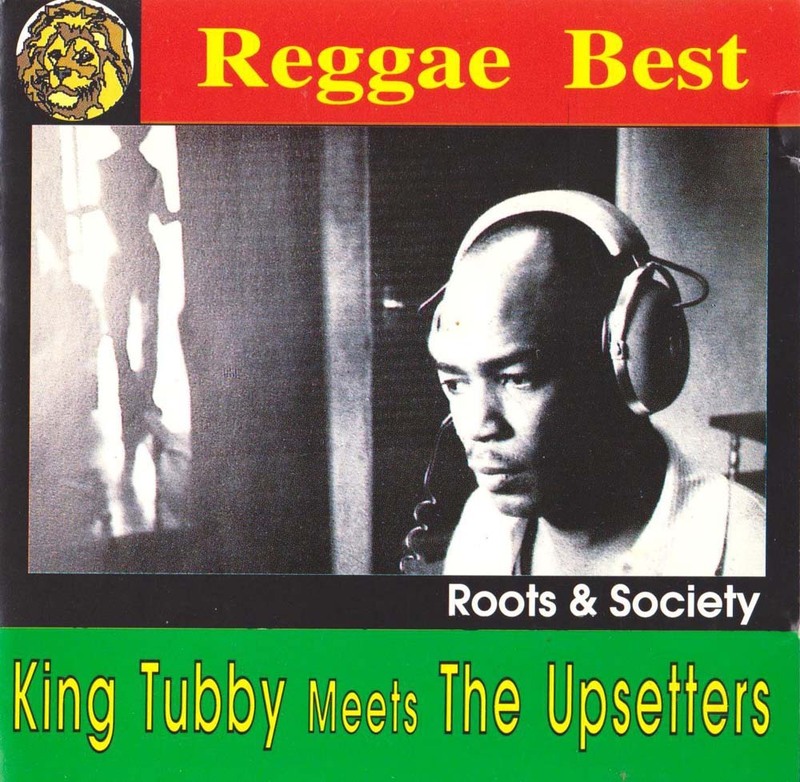 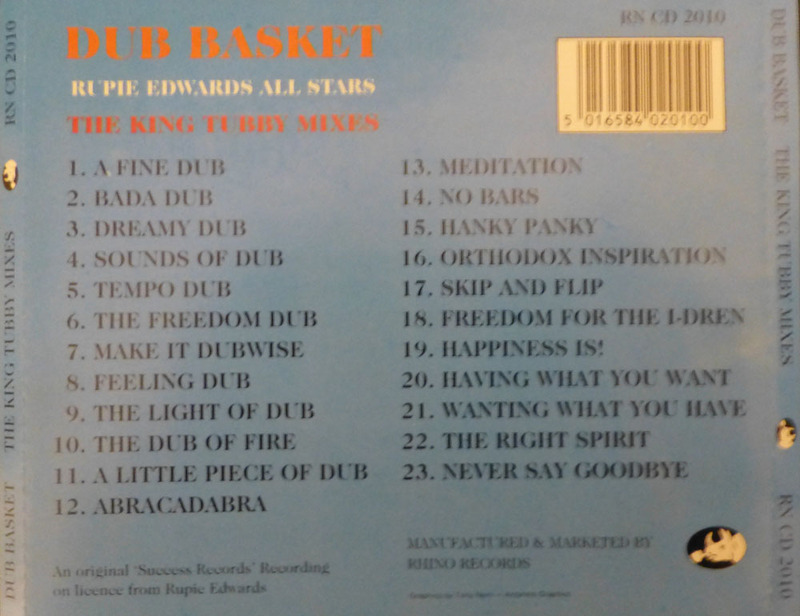 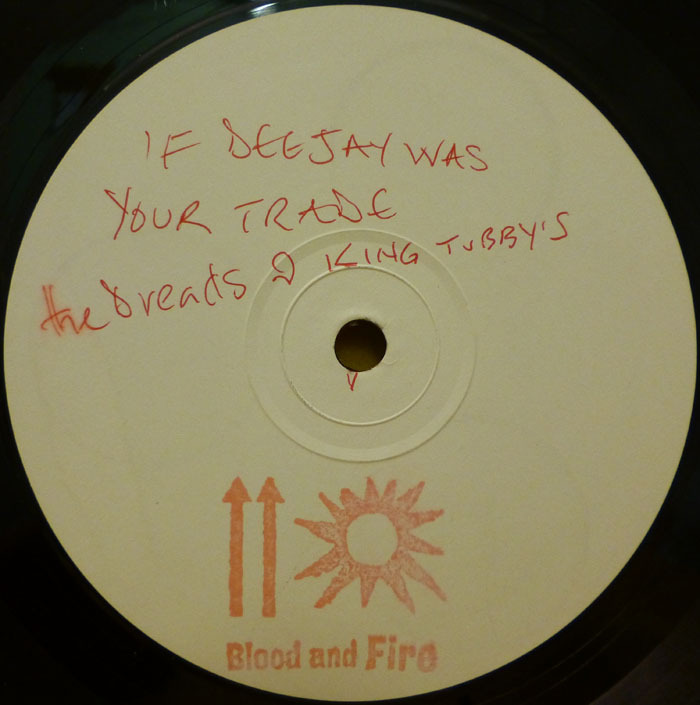 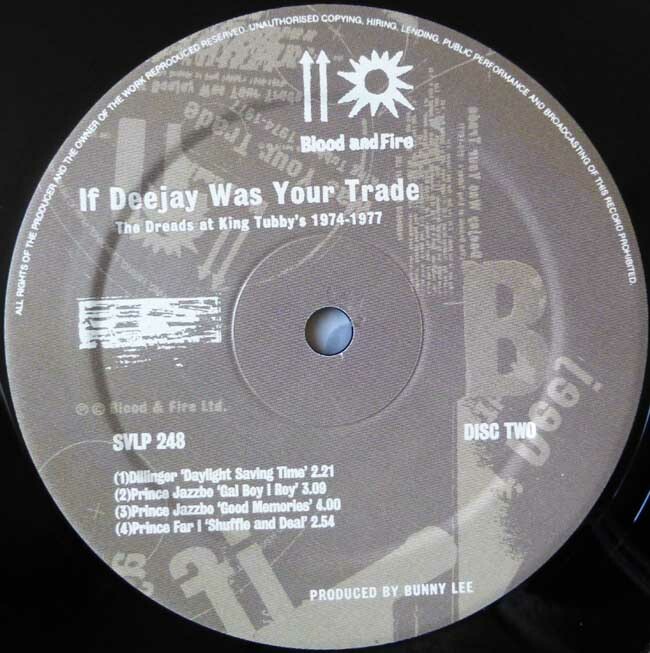 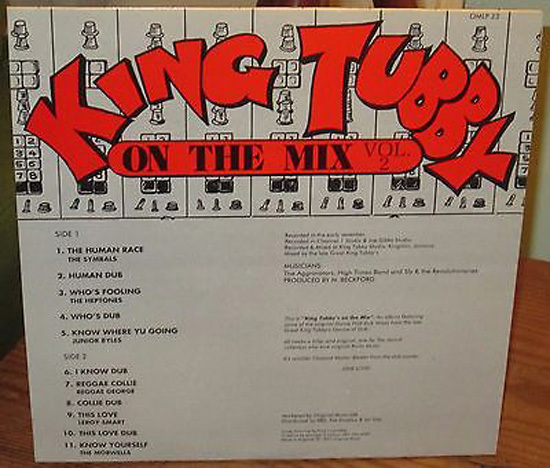 Mixed by King Tubby ? 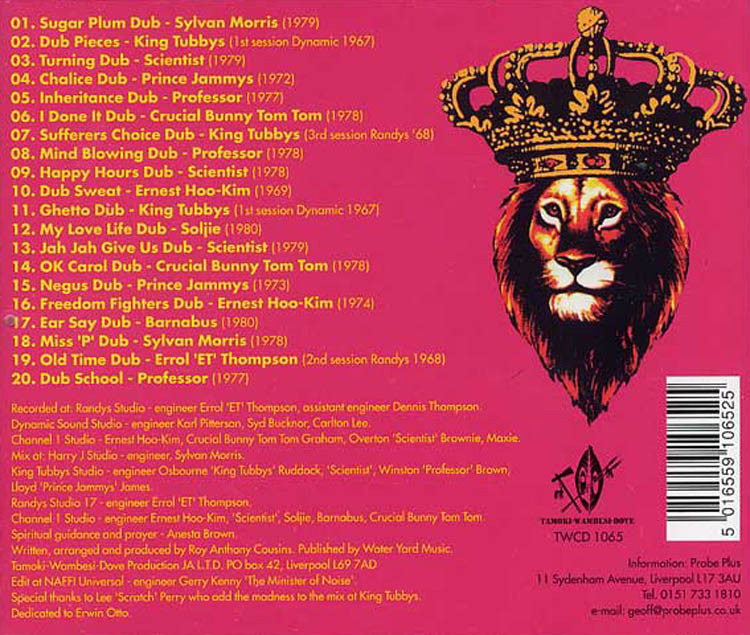 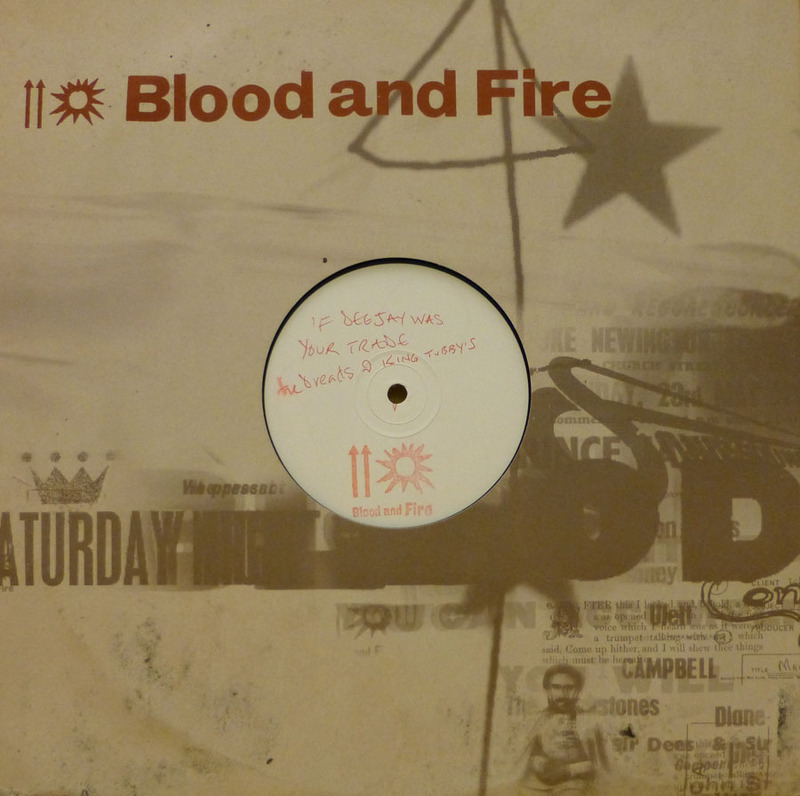 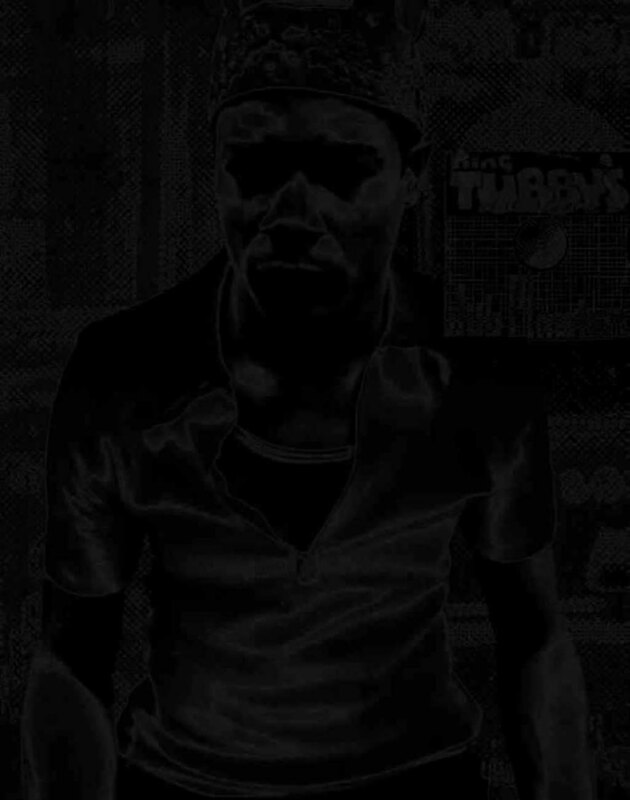 05 Mad Dub 3.14 Two Face A Rasta Cornell Campbell 7"
11 Crying Dub 3.20 Some Woman Must Cry Derrick Morgan 7"